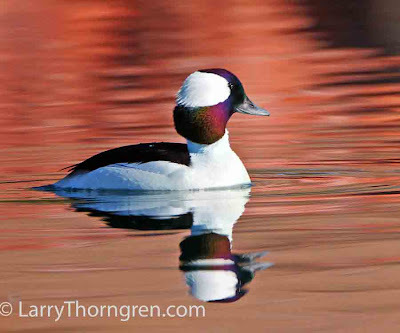 This Buffle Head is swimming in a small pond with some red rocks reflecting on the water. Sometimes I think I would like to own a small pond and put up colored panels of various colors to get a variety of reflections of of the water. The reflected color can really make or break a photo. These small ducks are quite shy and I felt fortunate to find one this close. Canon 60D with a 500 canon lens and 1.4 multiplier. 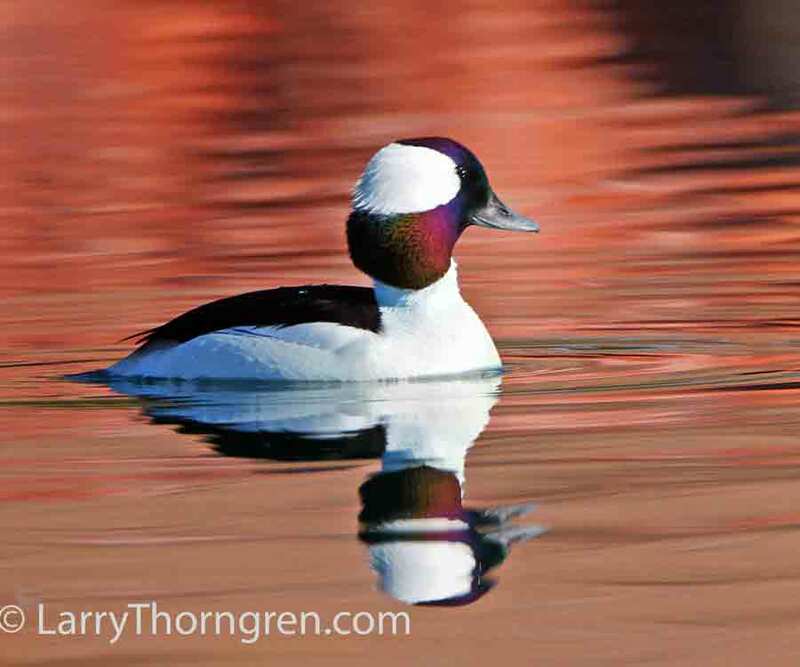 Love the Bufflehead! They are so small and, for me at least, seem to keep their distance. Great job with this fellow. Sandhill Cranes Are Back In Idaho!